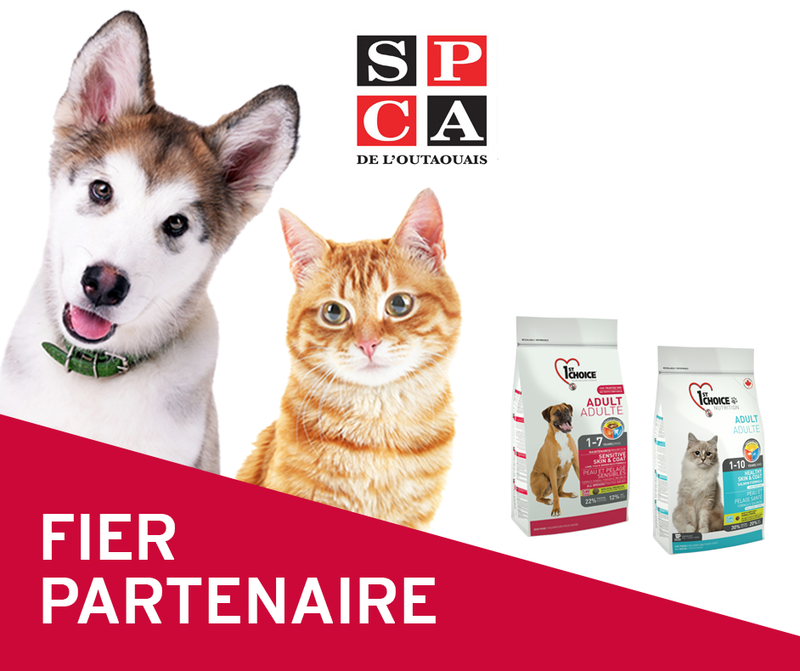 1st Choice is pleased to announce its partnership with the Outaouais SPCA, the official pet food provider for the Outaouais region shelter. The 7,000 animals entering the shelter annually will therefore have the privilege of eating high quality kibbles manufactured in Boucherville, Quebec. PLB International, with its 1st Choice and Pronature brands, offers a complete range of food for puppies, dogs, kittens and cats. New adopters at the Outaouais SPCA will continue to receive a free bag of food at the time of the adoption to ensure an adequate transition once at home. Obviously, they will be encouraged to continue with this food which is of high quality in addition to being very affordable. © 2019 plbint.com. All rights reserved.